Porters on the Inca Trail at Phuyupatamarca camp before descending to Machu Picchu. Porters carry the bags and equipment and you only carry a daypack. The trekking group is comprised of a maximum of 16 trekkers. 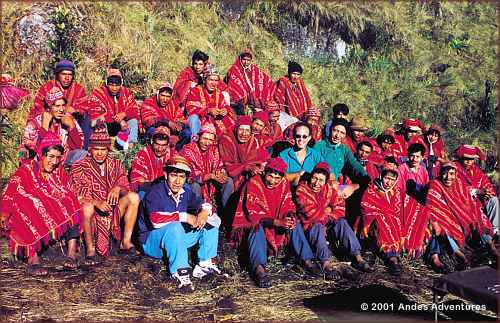 The team consists of a guide, assistant guide and sweeper, cook, assistant cook and the porters.